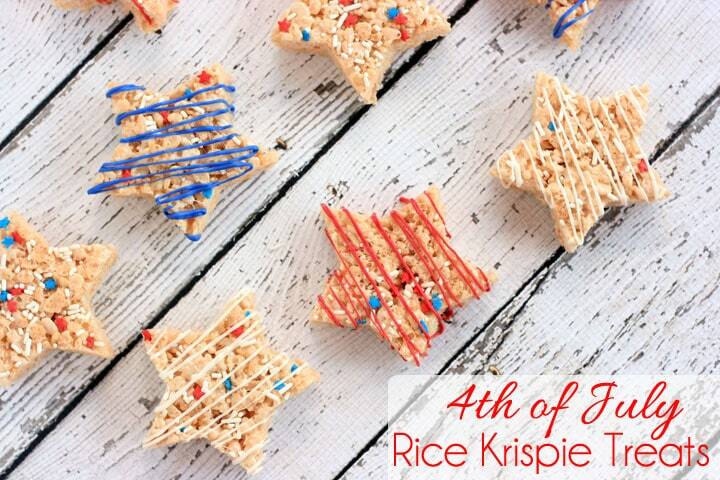 A simple and delicious rice krispie treat recipe perfect for the 4th of July! 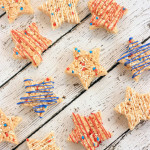 This 4th of July Rice Krispie Treats will be a big hit with the kids (adults too!) during the celebrations! So, I was trying to think of a fun treat that the kids would love. Since my son likes rice krispie treats, I decided to make some that were 4th of July themed. 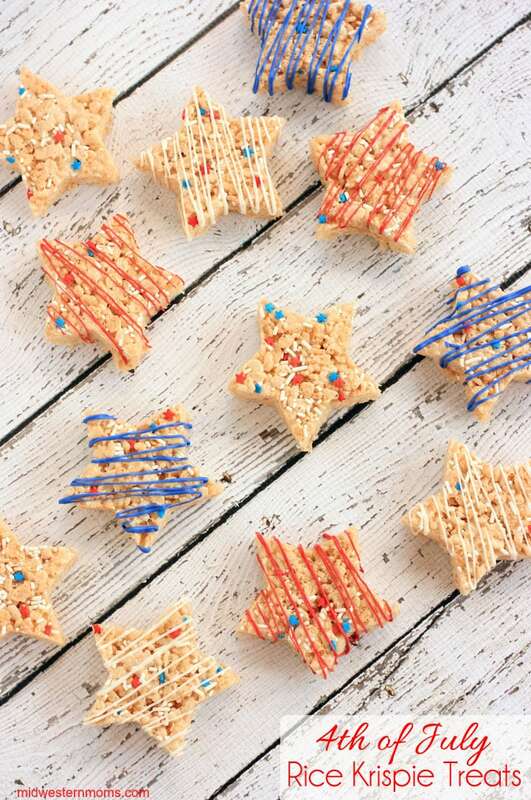 These Rice Krispie Treats are star-shaped with sprinkles and some are drizzled with red, white, and blue candy melts. My son loved them! He liked the shapes and the different colors. He studies each treat and debates on which color of rice krispie treat he is going to eat. It’s so cute!
. They are a fun way to display the treats.
. Place the melted candy melts inside, then cut a tiny hole in the corner of the bag. When you are done, just toss the bags. Easy cleanup. A perfect treat for the kids during the 4th of July Celebrations! 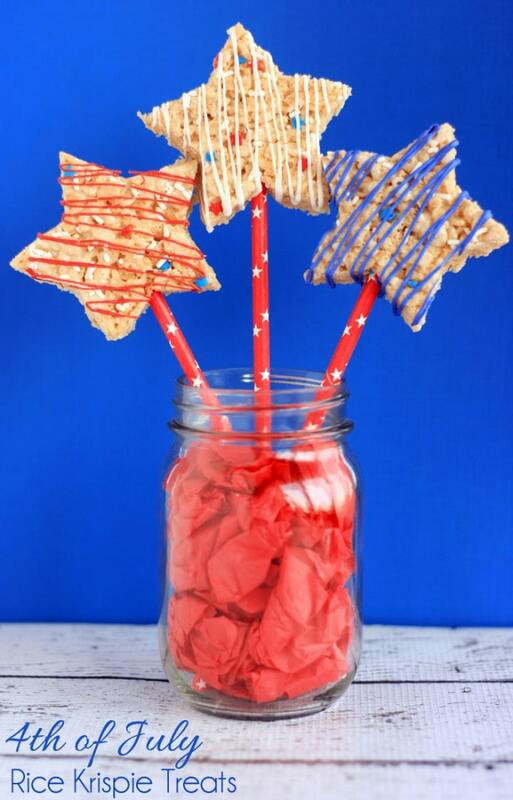 Fun star rice krispie treats to help celebrate the 4th of July! In a large pan, melt the butter. Add the marshmallows and vanilla extract. Once the marshmallows are melted, add the Rice Krispies. Stir until all the cereal is coated with the melted marshmallows. Place the mixture in a 13 x 9 greased pan. Press it down with your fingers or a spatula. Add the sprinkles and press them down onto the treats. Once the treats are cooled, take your cookie cutter and cut your stars out. Melt a little bit of each of the candy melts. Drizzle the candy melts over the stars. Do you have something special planned for the 4th of July? I don’t remember the last time I had rice krispie treats! These look amazing!! How cute! 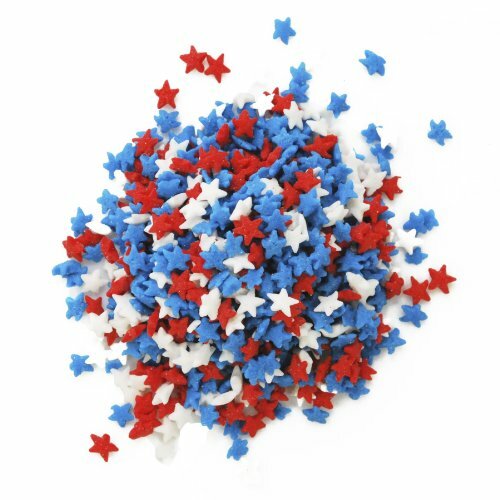 Love the star shapes for the 4th. These are so cute and look so simple to make. I may have to try them. Really cute and I love Rice Krispy treats! These look so fun for summer celebrations. I would love to have you stop by and share with my readers and check out our featured guests. Love these…they are too adorable!! Pinned! These look amazing I love rice crispy treats. These look so delicious and fun! These would be great for the kids for our local 4th of July party. Thanks for the idea!